﻿ I'm sure at one point or another anyone who has heard of a saxophone has heard about vintage saxophones, at least a little bit. These are simply old saxophones- those that have made it through the test of time. For vintage saxophones, there are a few large periods of time that are most notable: the late 1800's, the 1920's, 1930-40's and 1950-60's. If you do your research, you'll see a clear path through time, where changes were made constantly between the 1800's and today. In today's modern age we have some pretty responsive saxophones due to advanced metals used in springs, and clear sounding tone thanks to the brass work done in the body. Today's top saxophones are made with blue steel springs enabling faster key work, as well as a ridged two-part brass body for durability and decreased air resistance. Yamaha and Selmer brands in particular are the front runners for today's modern sax. However, the old saxophones that are still able to be played have a rather unique sound to them. They're often described as darker, or warmer sounding. This sound is popular among jazz artists- some of whom actually have vintage horns which they got themselves when the horn premiered. They also have that vintage 'look' to them: they're worn and beat up simply from being 'alive' for so long. You might feel all of the experience that the saxophone has as you play it. 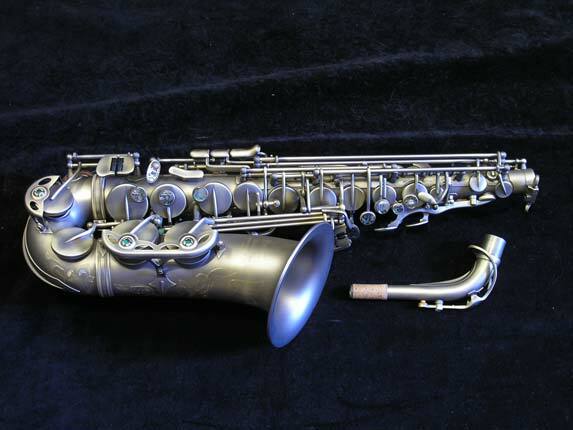 The combined uniqueness of the sound and appearance of these vintage saxophones makes them more and more desirable to buyers today. There are a number of vendors who sell such horns, including some on the Internet. If you want a good place on the Internet to buy a vintage saxophone, go to Junk Dude- a family business that finds, restores and sells old saxophones. Some of them aren't in full working condition, so there's the option to fix them up yourself, if that's what you like. At the very least, the site is a great place to start your search for a vintage saxophone. While, for me, older is better, simply because I love the history that comes with a super old horn, there is a vintage horn that has been referred to by many as the "greatest saxophone ever made" yet is on the newer side of vintage. This is the Selmer Mark VI. A horn of the 60's, it plays beautifully. Many of the greats play this horn, such as one of my favorites: Eric Marienthal. The horn isn't produced anymore (which I don't understand), but you can still buy it as a vintage in places like the before mentioned website. Like any professional saxophone, though, it costs quite a lot to buy, so don't go thinking you can pick it up that easily. With the old and the new, there are a lot of saxophone options: it makes one wish for a cross between the two. Well, as it happens, there is a modern-vintage hybrid, and it's called the P.Mauriat PMXA-67R. I've recently come across this horn, as it's a rather upstart piece. The price is fair and the dark lacquered version looks incredible. The horn, besides looking dark, sounds dark- it has the vintage quality of sound that many love, but has the playability and response of a modern pro horn. It isn't one of the major brands selling today (Yamaha, Selmer, Yanigisawa and so on), but this fact simply makes it more unique. This horn is usually shy of three thousand dollars, making it one grand less expensive than the YAS-82z, and two grand cheaper than the upper Selmer Paris Series. The 67R is beautiful to look at and to listen to- just look at the pearls! It's a wonderful horn, and I plan on adding it to my collection soon. It is simply a modern classic.